An extremely rich ice cream that hits you upside the head. In a good way. The secret addition of a little coffee helps highlight the chocolate flavors even more. Don’t get me wrong – celebrating ice cream is an idea I can get behind – but I have to wonder, who comes up with these things? It’s the special days that really get me. For instance, today is I Forgot Day. How do you celebrate this (other than with my general absentmindedness that needs no special day)? We have holidays to look forward to pretty much every day this summer. You can view the whole schedule here. Want some highlights? July 27 – Barbie in a Blender Day (really?!). It’s also Take Your Houseplants on a Walk Day and Walk On Stilts Day. Big day! Back to… what was it again? 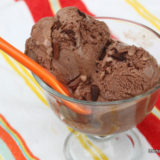 Adapted from Cooking Light magazine’s Double Chocolate Ice Cream recipe, this one is chocolatey – an extremely rich ice cream that hits you upside the head. In a good way. The secret addition of a little coffee helps highlight the chocolate flavors even more. This may just be the perfect dessert for your Fourth of July Celebration, or anytime during Ice Cream Month. Or for National Duran Duran Appreciation Day, even. In a medium saucepan over medium-low heat, mix together the cocoa and sugar. Stir in 1/2 cup of the milk along with the egg yolks, and mix well. Add the remaining 1 cup of milk, and 1 cup of the half and half (save 1/2 cup of the half and half for later). Stir constantly over medium-low heat until the mixture thickens and registers 160 degrees on a thermometer. This takes me about 15 minutes. In a microwave-safe bowl, heat the half and half to boiling. Remove the bowl from the microwave and add the chopped chocolate. Stir until the chocolate has melted and the mixture is smooth.Chocolate is so messy, but so worth it. Add the melted chocolate mixture to the pan, along with the coffee and vanilla. Stir well. Cover tightly and refrigerate for at least 2 hours, or overnight. Add to ice cream maker (I use my beloved Cuisinart) and freeze according to manufacturer instructions. 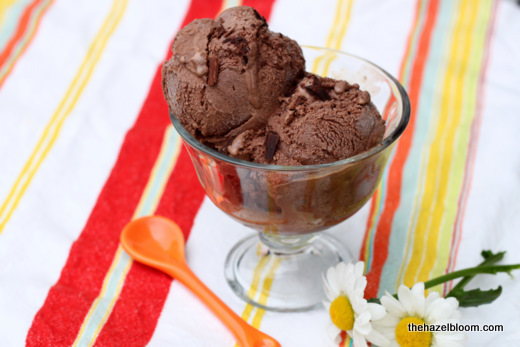 Serve soft, or place it in the freezer for at least 3 hours for harder ice cream. To serve, garnish with a little chopped chocolate if you really want to send it over the top. 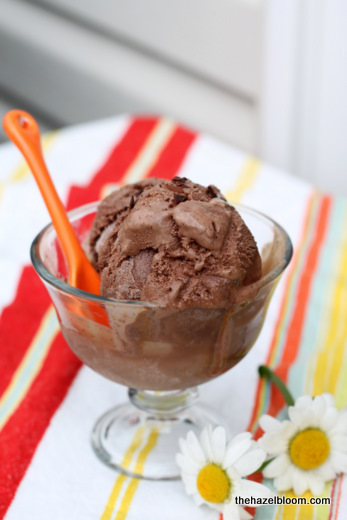 I think I’m in a ice cream crave mode right now because those images, really are so delightful! Looks amazing! 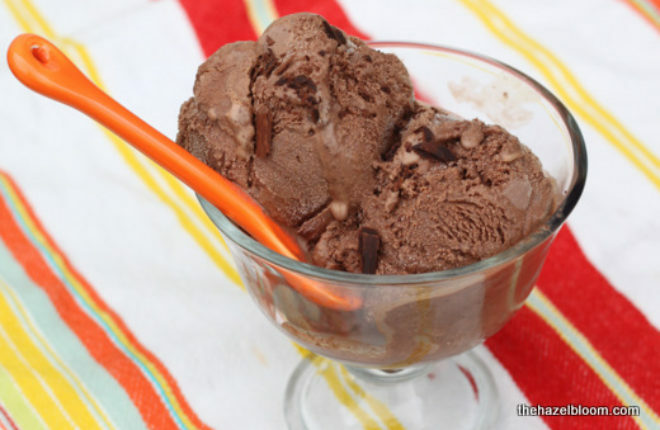 I’ve been looking for super chocolately ice cream for a while now, and this looks perfect. Thanks! I spy a C&B spoon!! We really are dish-twins — I have that little condiment spoon!